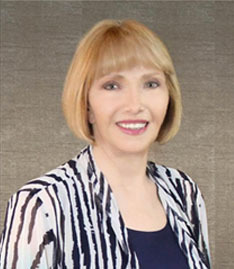 Wills and Trusts are the two most important components in Scottsdale AZ estate planning. With both documents present, there is little doubt that your assets will end up in the hands of the persons you intended them to go to. Much as both documents are essential to estate planning, each serves its own purpose and when both work together; a complete estate plan is arrived at. The major difference between the two is that a will does go into effect after you pass away while a trust does take effect as soon as you create it. With a will, you are able to give directions as to who will get which part of your property upon your death. A legal representative is required to carry out wishes stipulated in your will. A trust on the other hand can be used to either distribute property before one’s death, at death or after the person has passed on. In essence, it is a legal agreement which allows one person known as a ‘trustee’ (the trustee could be a person or institution such as a law firm or a bank) to hold the legal title to property for another person known as a “beneficiary”. There are basically two types of beneficiaries in a trust- there is the one that receives given income from the trust for as long as they live and there is the other that is entitled to whatever is left over after the first set of beneficiaries dies. 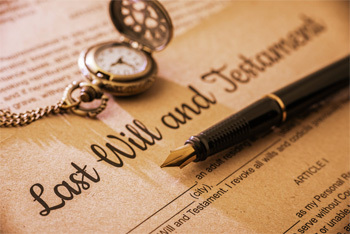 With a will, only property that is in your name at the time of your death is taken into consideration. As such, it doesn’t include property that is held in joint tenancy or in trust. With a trust on the other hand, only property that has been transferred to the trust is covered. In case you wish for property to be included in a trust then that property must be put in the name of the trust. charge of managing the properties and financial obligations of the estate. If there are minors or dependents in the will, a guardian is appointed for them. In order for a will to be deemed valid, it has to be validated through the process known as probate. Unlike a trust, a will can be contested. When a will is contested, it means that a party is challenging its validity. In a trust, as stated above, a third party (trustee) holds onto given assets on behalf of a beneficiary. The trustee can also help manage said assets. In case you wish to avoid probate, then a trust should be used instead of a will. There is however a possibility for a trust to be revoked. With a revocable trust which is also known as a living trust, the grantor of the trust does retain control of the assets during their lifetime. Technically, with a revocable trust, the assets are still treated as your own since you do retain control over them; as such you will be subjected to estate tax. With an irrevocable trust on the other hand, the assets will be transferred out of your estate. Terms in an irrevocable trust cannot be changed and you will no longer have control of the property. Different types of trust include Marital Trust, Testamentary Trust, Charitable Lead Trust, Bypass Trust, Generation-skipping Trust, Grantor Retained Annuity Trust, Qualified Terminable Interest Property Trust and Irrevocable Life Insurance Trust. Although any person other than a lawyer can draft a will or trust, it is advisable to seek the help of a Scottsdale Wills & Trust lawyer. Ideally, the lawyer should specialize in estate planning. This way, you get the exact document that you seek and do away with things such as invalid wills or trusts.